Interport’s metal shipping containers include at least one cargo door, but additional shipping container door modifications can be made for enhanced utility. Consider adding shipping container windows to bring light, ventilation, and visibility to your container. 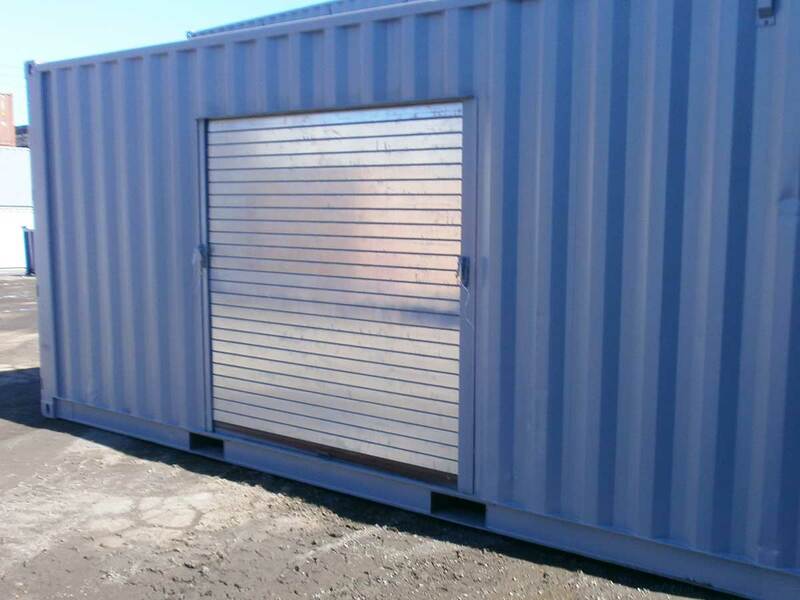 Roll-up doors use a rolling metal curtain to give you easy access to your shipping container. They can be placed on any side of your container and range in width from 3’ to 12’. Roll-up doors are available in heavy or light gauge, depending on your needs. Heavy gauge affords you more security, fire protection, and durability, while a lighter gauge is easier to work with, whether modifying the container or accessing it. Personnel doors are useful if you are using your container as a mobile office or workspace and need regular access. Personnel doors are hinge-mounted like the doors in a typical home or office. They can be placed anywhere, including inside a swing or cargo door. Interport can further modify your personnel door by adding a panic bar, window, and heavy-duty door closer (to prevent the door from slamming). Interport offers double-pane windows as standard and can also install slider windows or double-hung windows. Also available are shipping container skylights and fixed windows that do not open. Fixed windows, made of wired safety glass and available in any size, are useful for laboratories, control centers, or other applications requiring viewing areas. Awning windows, made of shatterproof glass, are hinged at the top and open outward, which makes them ideal for concession stands or ticket windows.